A warm slice of bread with a little butter on, some omato slices, prosciutto, a fried egg and a spoonful of pesto. And your day could not start in a better way. 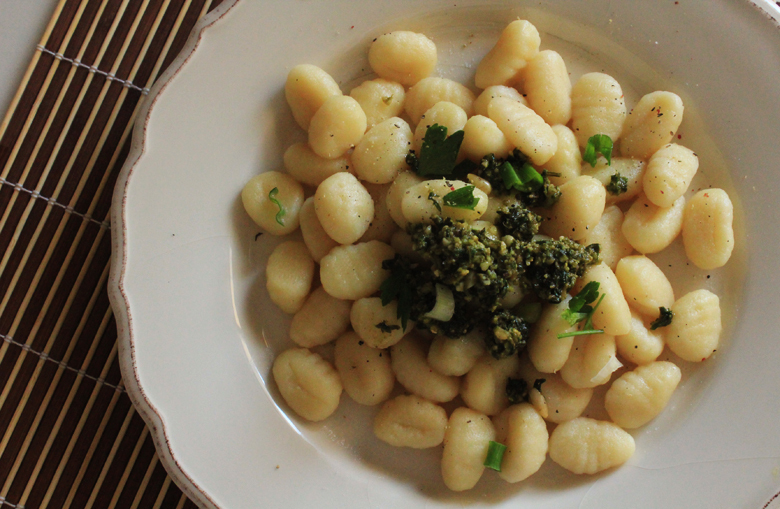 I am a pasta girl, but sometimes a dish of gnocchi with fresh onion, chopped parsley and pesto is exactly what you need. Corn on the cob with feta cheese, pesto and plenty of slat and pepper. So, what would you do with your pesto?